Community Services is one of the fastest growing employment sectors in the country. The Estrada College Diploma of Community Services (Case Management) will prepare you to work in case management and client support roles in the community services sector. You gain the expertise and knowledge necessary to facilitate case management, assess and analyse client needs, communicate effectively with clients and staff, and support client self-management. You’ll have the diverse skills and knowledge required to work as a community services worker in a wide variety of settings such as youth services, child protection, family welfare organisations, disability services, and community health services and employment. Learn internally, online or any blend. Our programs are designed to fit around your needs. Study entirely online (anywhere) or come into our campuses in Brisbane, Sunshine Coast, Sydney, Port Macquarie, Melbourne, Adelaide and Perth. Reduced Upfront or Monthly Payment Plan. Our Diploma of Community Services (Case Management) (CHC52015) is structured around 6 Units of Study each with a duration of 12 weeks. Units marked with a # require the practical demonstration of skills in a real or simulated work environment. A variety of options are available to complete practical assessments including through private one-on-one or small group assessment (in person or via Skype) or submitting a video recording. Where more than one practical is included in a Unit of Study, the practicals will be grouped into one assessment session where possible. Units marked with a * require completion of a work placement. The work placement involves an average of 8 hours per week in the workplace with some time spent at home completing activities that contribute to assessment. An Assessment Book is completed for each topic and 10 practicals are completed as part of this course. Where more than one practical is included in a Unit of Study, the practicals will be grouped into one assessment session where possible. Progress through your course is achieved by completing each unit’s assessment book and each practical (by private one-on-one or small group assessment (in person or via Skype), or submitting a video recording). 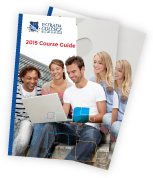 Please contact your Student Support Centre if you have any questions about the requirements to complete your course.